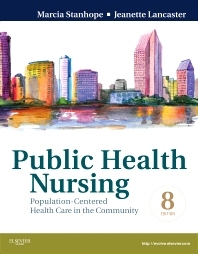 Now in its 8th edition, the "gold standard" in community health nursing provides comprehensive and up-to-date content to keep you at the forefront of the ever-changing community health climate and prepare you for an effective nursing career. In addition to a solid foundation in concepts and interventions for individuals, families, and communities, you will find real-life applications of the public nurse's role, Healthy People 2020 initiatives, new chapters on forensics and genomics, plus timely coverage of disaster management and important client populations such as pregnant teens, the homeless, immigrants, and more. Separate chapters on disease outbreak investigation and disaster management describe the nurse's role in surveilling public health and managing these types of threats to public health. Separate unit on the public/community health nurse's role describes the different roles and functions of the public/community health nurse within the community. 44. The Nurse in Forensics NEW!